VNRE – Halong Marina is the first model township in Ha Long City with the commitment to bring people a comfortable life in natural surroundrings. Insprired of and comparable to the small Sydney harbour, Halong Marina will bring you the perfect facilities where people are protected and cared for. 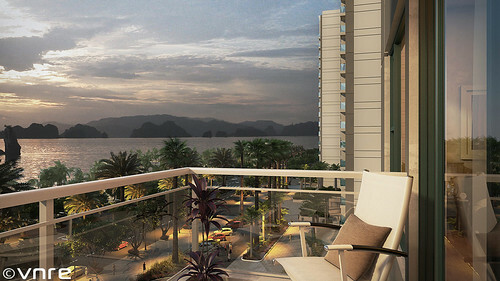 Halong Marina – the place to create the perfect living standards. Halong Marina has a perfect location, good feng shui “moutains at the back, sea in front”, and in between of Bai Chay and the Tuan Chau island. Halong Marina becomes the heart of Ha Long Bay, promising a life that you ever dreamed. The project is flanked by the Hung Thang mountain at the back and Ha Long Bat in the front with a beautiful beach stretching a full 3,8km. Inspired of and designed as the model of Sydney Habour, Australia, which is one of the most beautiful, modern, luxurious and most busy cities of the world. 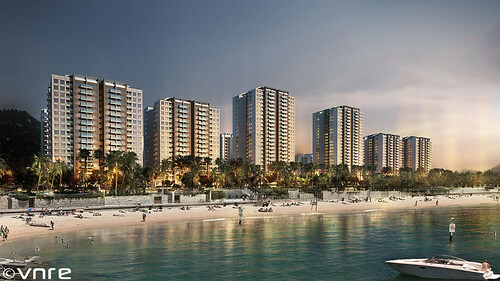 The advantages of the project are: extensive and modern infrastructure, a large private beach area, a private habour bridge and the intelligent and modern facilities. 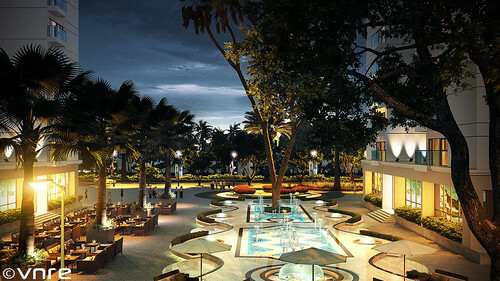 This will bring the residents the most luxurious and romantic living environment. 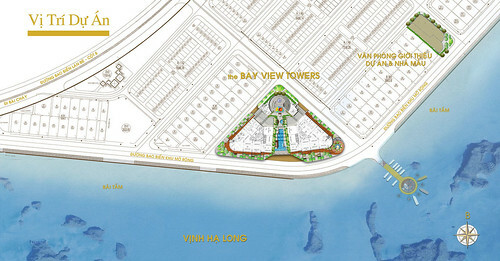 – Peninsula 1: This is the open gate of the Halong Marina Township. 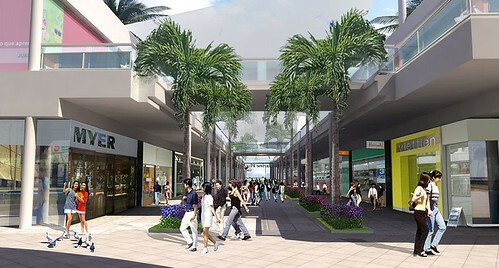 Near the Hung Thang road there will be a large shopping area. Apartments and lowrise service building will also be built here. – Peninsula 2: This is the center of the whole project area. A tourist boat habour, water world entertainment, square, walking only streets with commercial activities and hotel services. – Peninsula 3: Resort, luxury hotels with spa & sauna all with 5 stars service. 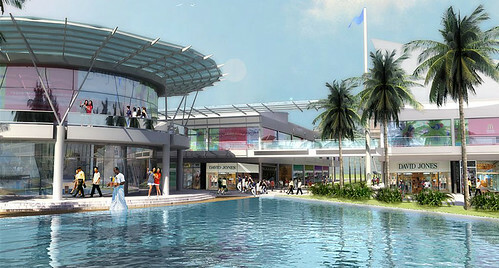 Also a fitness center, swimming pools and mixed use building with shopping mall, offices and services. – Area 4: Seaside villas and relocated residences. – Area 5: Set to become a new financial center of Quang Ninh Province. Leisure and entertainment, resort and health care centers. The area will also include Petro Fillers, and a small repairs center. Location on the Halong Marina Township, Halong Marine Plaza supplies 110.000 m2 of retail area with modern, luxurious shopping space and international brand names, and a entertainment area of 9.1 hectares with the lots of games and activities. When the construction is finished the Halong Marine Plaza will be the first mixed use commercial and entertainment center of Quang Ninh Province. The Halong Marine Plaza will bring you unforgetable experiences. Green Bay Towers is designed in a modern style, harmoniously combined with nature and exclusive facilities for residents such as: swimming pool, gym, parks, libraries and supermarkets and regional basement parking… and active, modern living environment – good for you family file. 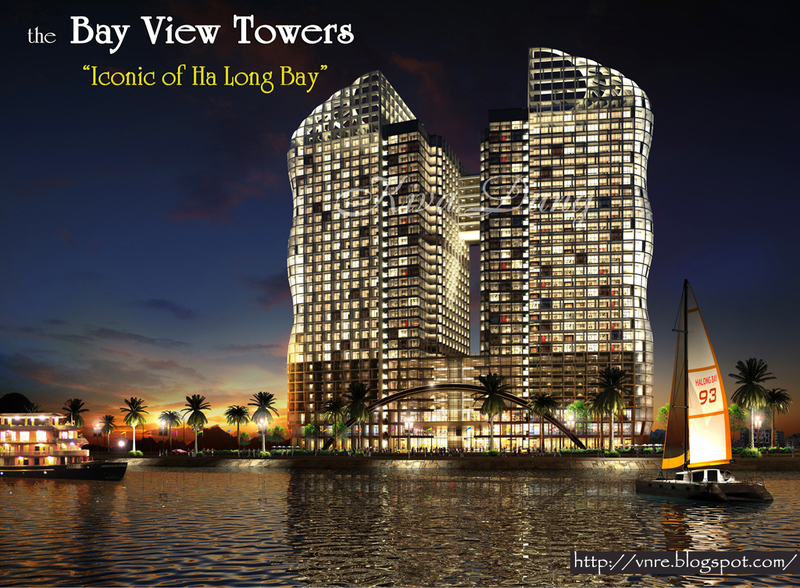 Green Bay Tower – creating a full home of your own. 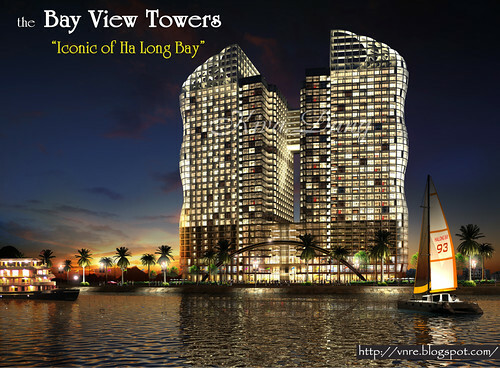 Green Bay Towers ha plentiful of sun, the waters reflecting the beautiful coast and the bay. Just a few steps out on the balconies or viewed from your windows, you will admire the sunny coast and the blue sea glowing on the horizon. Enjoy the fresh air and the romantic ambience. Each apartment has a beautiful view overlooking the Bay and the mountains, taking full advantage of the natural light. The spacious living room whith open views is an ideal place to welcome friends, talk and sharing meals. The kitchen is also a nice and comfortabe place to witness the comings and goings of everyday activities for all your family. The fresh air from the mountains and from the sea will give you a good night’s sleep, and vitality for every morning. Halong Investment and Development (BIM Group) is a limited liability company, headquartered in Ha Long City. The Group was founded by Mr. Doan Quoc Viet, an entrepreneur who had owned and operated hotels, restaurants and trading businesses in Poland prior to his returning to Vietnam. 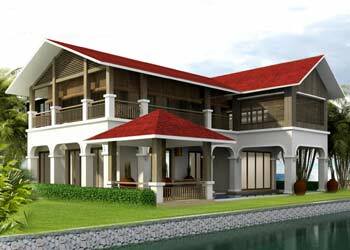 Today, BIM is one of the leading private investment companies in Vietnam. The company was established in 1994 as a developer behind Halong Bay’s first international standard luxury hotel, the Halong Plaza. The success of Halong Plaza Hotel has set up a stable platform for the company to expand its activities. Currently employing more then 3000 staff and a leader in a number of industries in Vietnam such as real estate development, infrastructure development and aviation. Besides these businesses the Group is also involved in various other industries including healthcare, energy and trading. BIM is a large group of many companies with different areas: BIM Kien Giang Company Ltd, BIM Seafood JSC, Mekong Aviation JSC, Ninh Thuan Salt JSC, Syrena Company Ltd, Halong Plaza Limited Liability Joint Venture Company. Tel: 84.4.3719 6789 – 3718 2888 – Fax: 84.4.3719 7215. Local people believe Vietnam’s protector, the mother dragon, created Halong Bay. There are few better locations than this in South-east Asia: a Unesco World Heritage site of 1,900 limestone islands just off Vietnam’s north-east coast. Integral to Halong Star’s master plan is maintaining and enhancing the natural beauty of the area: captivating terrain and extensive, unbroken views of the water and islands. Halong Star is a high-end, low density development just two hours from the Vietnamese capital, Hanoi, with good road, rail and port links to China. The project will create jobs, boost the country’s economy and help to position Halong Bay as one of the world’s premier tourist destinations. 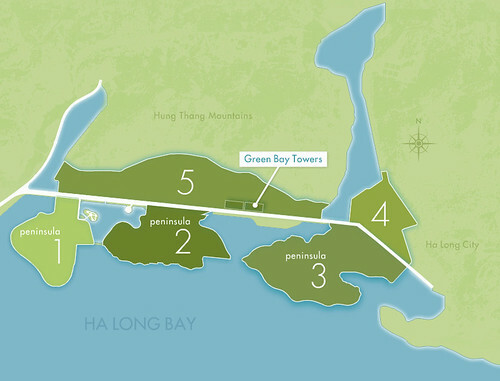 Located 200 metres above the bay, it will accommodate up to 4,000 residents and guests in three unique hotels, serviced villas, townhouses, apartments, complemented by top flight leisure and retail facilities, all with extensive, unbroken views of Halong Bay. Halong Star will bring traditional flavor to the contemporary architecture that makes up this integrated resort, commercial, and residential development, with a world class design team on board to turn this Vietnamese vision into a reality. The construction works on Ha Long Star Hotel was started in 2007. The participants included UAE-based Limitless Co, the US International Real Estate Investment Co and Vietnam-the US Ha Long Joint Stock Co. The project has chartered capital of $550 million, to be built in an area of 40 hectares, including a six-star hotel and about 100 high-end villas. Tel: 971.4435 8888 – Fax: 971.4435 8889. Nestled amid Ha Long Bay’s mystical natural wonder, leisure and recreation facilities at the Bay View Towers are designed to recharge the weary spirit and reenergize the body. They link the two towers at four different levels. Experience ultra-modern luxury, comfort and convenience at Mother Nature’s pulse at The Bay View Towers, an architectural masterpiece of two innovative 30-storey towers set against Ha Long Bay. , Vietnam’s most iconic natural landmark. The superior technological design of this modern residential and commercial complex features 518 units, with each unit offering spectacular vista of emerald waters dotted with stunning limestone rock formations. From a two-bedroom 115-square meter unite to a six-bedroom 547 square meter penthouse suite, each unit is designed to soothe the senses and reinvigorate the soul – whether you plunge into the energy of the sea or flow with the steady rhythm of the waves. 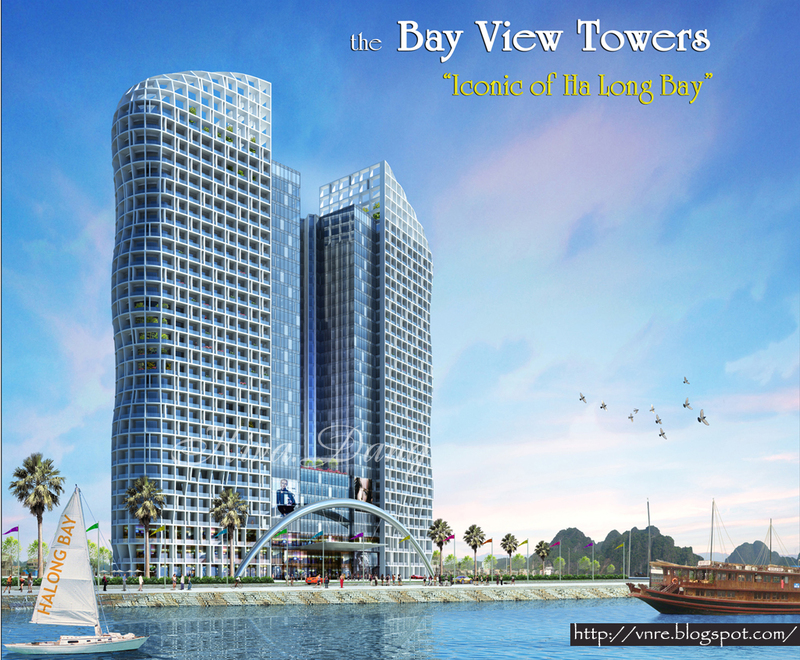 The Bay View Towers is as inspiring and tranquil as Ha Long Bay’s breathtaking natural beauty. Nestled amid Ha Long Bay’s mystical natural wonder, leisure and recreation facilities at the Bay View Towers are designed to recharge the weary spirit and reenergize the body. They link the two towers at four different levels. On the 8th floor, residents can plunge on the infinity pool, pamper the body in one of the numerous Jacuzzis, soothe sore muscles at a sauna, relax at the garden and lounge pavilion, spend quality time with their kids at the playground, or enjoy a sumptuous meal at the outdoor BBQ area. Top-of-the-line equipment can be found at the health and fitness club on the 24th and 25th floors. There’s simply no better way to tone the body. A private marina allows would-be residents to enjoy an array of water sports or explore a vibrant marine ecosystem. Let Ha Long Bay’s spectacular panorama captivate you as you enjoy fine dining with family and friends in Bay View Towers’ pocket gardens and lounge. Indulge in a relaxing experience that only Bay View Towers can offer. Swim in the lap of Ha Long Bay’s panoramic beauty at our infinity pool. Feast your eyes on the emerald waters and jagged limestone cliffs that dot Vietnam’s iconic natural wonder. After a dip in the pool, soothe your body for a refreshing treat in our heated Jacuzzi and hydro-massage facilities. Experience the pinnacle of relaxation. With an array of restaurants and entertainment facilities, our three-level 38,000-square meter shopping podium is a fully integrated leisure complex where one can find a vast selection of international fashion brands and unique memento. The podium caters to the whims of shopaholics and food aficionado. Experience a blend of eastern flavors with international flair in some of the most elegant restaurants at the Bay View Towers. Along with delectable meals, some restaurants at the Bay View Towers offer a selection of the finest wines and cocktail drinks, not to mention an impressive list of the world’s best cigars. Our well-designed playground area is at par with global standards when it comes to safety and comfort for our young residents. They’re a testament in our desire of nurturing our young residents make the most out of what life has to offer in the most fun-filled way. A team of professional fitness experts and world class facilities await you at our gym. Get in shape in style in the most soothing way possible. With the stunning natural beauty of Ha Long Bay as the backdrop, losing those flabs and staying fit in our gym is an experience like no other. Enjoy an array of amenities in our world class spa. Experience the ultimate in relaxation. With our spa specialists, you can live a healthier and longer life while enjoying a more vibrant lifestyle. Only Bay View Towers offer a spectacular view of Halong Bay to our residents. Our innovative glass tube high speed lifts make heading to your units an experience in itself. The Bay View Towers is an energy-efficient, environmentally-designed and climate-responsive real estate development project. We invest in innovative clean and green technologies and practice efficient waste management solutions to make a positive impact on our natural surroundings. As the first BCA Green Marked real estate development project, Bay View Towers has become the benchmark for responsible environmental stewardship in real estate development. Floor Plan (Please view big size photo on Flickr). Tel: 84.4.3365 6986 – Fax: 84.4.3365 6998. 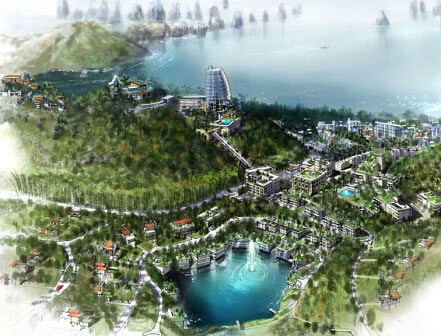 Construction began yesterday on the US$220 million Halong Star housing, resort and commercial complex in the northern province of Quang Ninh. A joint venture of Limitless LLC of Dubai, Phuong Hung Joint Stock Co and International Property Investment Partners LLC, the project will include a 200-room five-star hotel, a 100-room luxury boutique hotel, villas, townhouses and apartments, and shopping areas. The 125ha project will be developed in phases over a five-year period, with hotel and townhouses first to go up. “Southeast Asia is one of the most exciting and dynamic market for Limitless,” says the company’s chief executive officer, Saeed Ahmed Saeed, at the groundbreaking ceremony. “It’s fast-growing economy will present Limitless with endless opportunities to demonstrate its core skills of master planning large-scale, balanced projects and waterfront development,” he added. Halong Star would make an effective contribution to developing Quang Ninh’s hospitality industry, said Quang Ninh People’s Committee vice chairman Nguyen Hong Quan. Quan requested relevant authorities to co-ordinate with investors to resolve any difficulties that may arise and create positive condition for implementation of the project. Limitless LLC is an integrated global real estate developer established in 2005. It currently has five projects globally with a total value of over $100 billion. 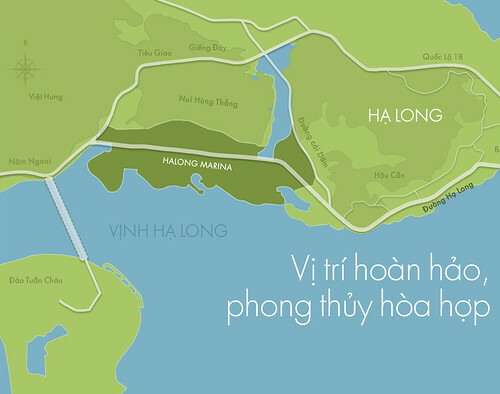 The Long Chau was located on an area of 303.3 hectares in Ha Long Bay. This will be a perfect complex including beautiful luxurious villas on the Bay, next-door 18 hole golf course on the beach, the Marina Yatch, beaches, 5 star hotel, trading center, entertainment area and deluxe apartments along the sea. 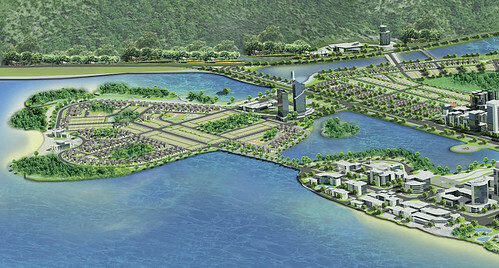 The development has an investment capital of 5,677 billion VND with its developer T&H Ha Long Invesment Company. 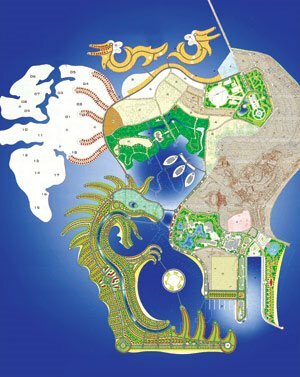 It was constructed into such 2 areas as Big Dragon and Golf Course and designed by Italian G.F.C SRL Construction Architecture Company and under the management of CBRE. 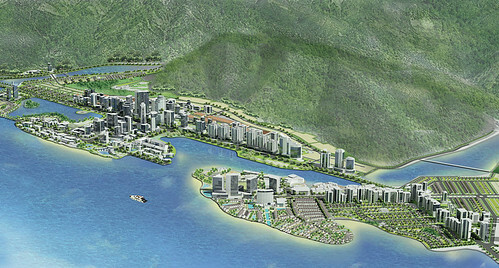 Developer: Tuan Chau group and T&H Ha Long Invesment Company. ĐT: 84.33.842 134-033.842 150- Fax: 84.33.842119.